At Harvest, we will engage with you in the process of assessing your current financial situation, identifying attainable financial goals, implementing strategies to fulfill those goals, and assessing progress towards achieving your goals. We will make this process as easy and enjoyable as possible for you, and continue to be available to address any questions or concerns you have along the way. We value long lasting relationships with our clients, continually putting our clients’ best interests first. Prompt, responsive, and personalized. Your financial outlook is as unique as you are, and your financial plan should follow suit. At Harvest Wealth Management, we are committed to providing you with clarity in all areas of your personal finances. Working with you through life’s many stages, our firm offers comprehensive services that will address your concerns today, and position you for a financially stable tomorrow. 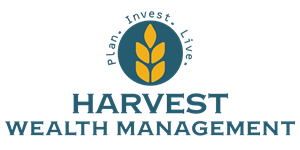 Whether you need financial planning, investment advice, insurance, or tax preparation - Harvest Wealth Management can help.